We’re excited to announce the release of the expansive ambient kosmische that is prologue: The Magic Lantern, the new EP from US-based ambient artist Slow Dancing Society. The EP is available now as a limited edition cassette and in digital formats via the SDS Bandcamp and all good online retailers. While Slow Dancing Society’s 2017 series of EPs navigated intimate human spaces, The Magic Lantern creates a more expansive musical environment. The 20-minute title track’s five movements ebb and flow between gaseous ambient exhalations and more propulsive, kosmische passages, always with its eyes on the stars. A spiritual successor to 2012’s Laterna Magica, ‘The Magic Lantern’ is followed by three superb additional tracks taken from 2017’s My Blue Heaven sessions. The EP precedes Slow Dancing Society’s first full-length for 2018, The Torchlight Parade. 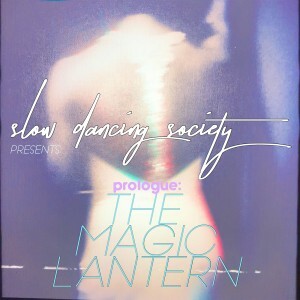 prologue: The Magic Lantern, along with the entire Slow Dancing Society catalogue is available for licensing through Hidden Shoal. Head here for more info.